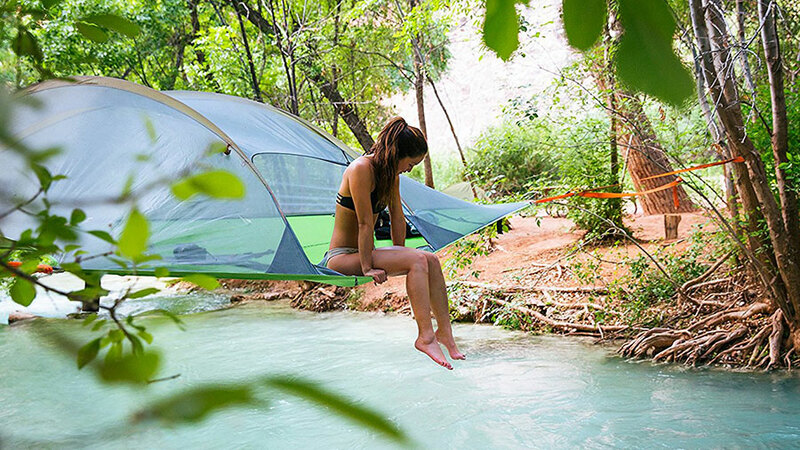 A suspended tent is a super cool gift idea for anyone like likes to spend time outdoors. The hammock tent has three anchor points. It holds up to 3 people. It comes with a polyester top that can be removed or quickly put back on if it rains. A suspended tent is a great way to you and your items dry while outdoors. Along with staying off the potentially wet ground, it also keeps away most small bugs or other animals that like get into ground tents. The tent has 4 internal pockets to store gear. 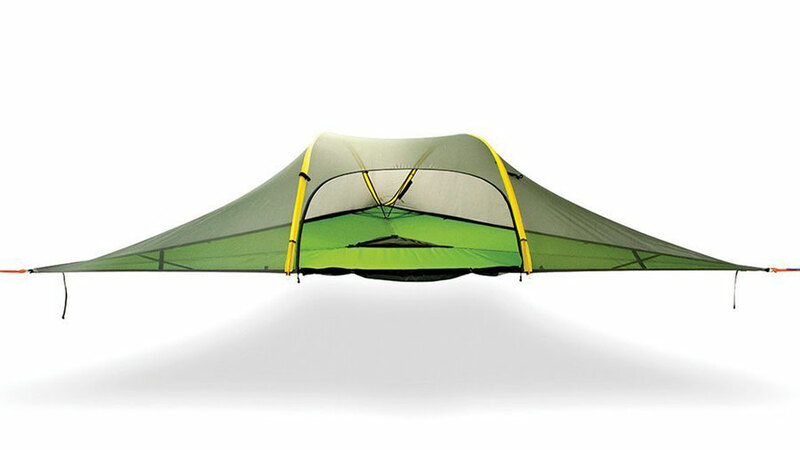 Tentsile, the company that makes the tent, states it sets up in about ten minutes. From reviews I’ve read many people said the first time it takes a little longer than that because it’s much different than a setting up a conventional tent. The tent is made from durable materials, so you don’t need to worry about it tearing easily. The floor area of the tent is 75 square feet. One review I read said that after using this tent they will never sleep on the ground again. Feel free to leave questions and comments below.